"We purchased a new conservatory, we couldn't be happier. It really gives us that added space and adds value to out home." The modern family farm-house may still look traditional, but the 21st century lifestyle is a complete contrast to previous generations of families that enjoyed simple living. 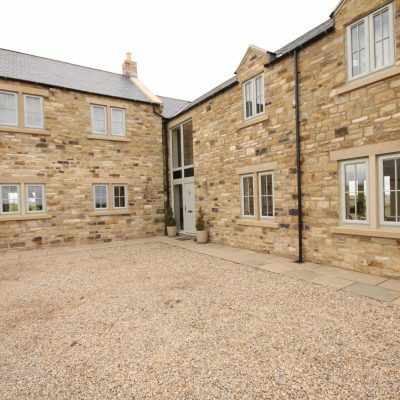 Set in the grounds of an existing farm near Scotch Corner in North Yorkshire, this new-build farm has all the traditional looks of a typical country farm house but with all the features and benefits of modern day living that come as standard with The Definitive Collection high performance Window and Door range. From the onset, a design brief was thoughtfully created to build this house and to showcase it in all it's splendour. 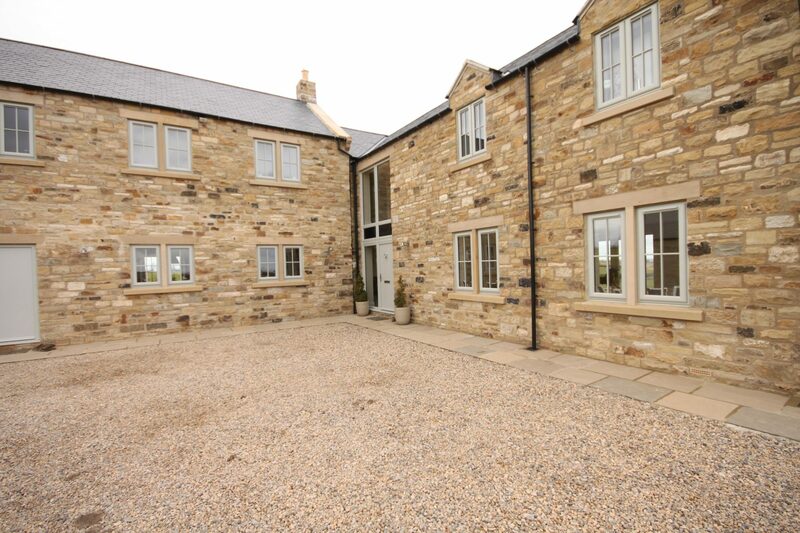 A traditional character specification that would blend in to the countryside and maximize the unrestricted panoramic views that join North Yorkshire with County Durham was of paramount importance. 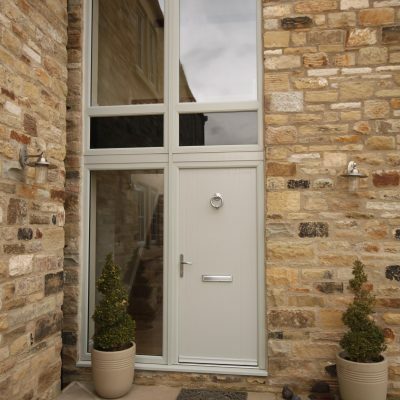 This house features a myriad of different products from within our extensive range that include both PVCu and Aluminium profiles. 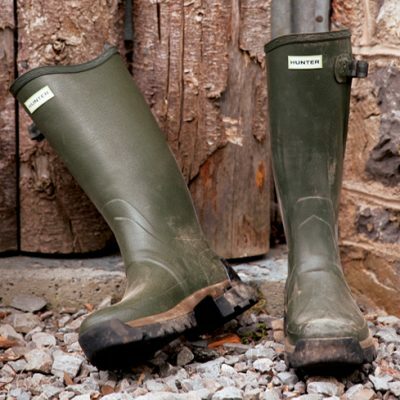 All products were supplied in Agate Grey which is a subtle colour that bridges the spectrum between grey and green to provide a look rich in historic British heritage. 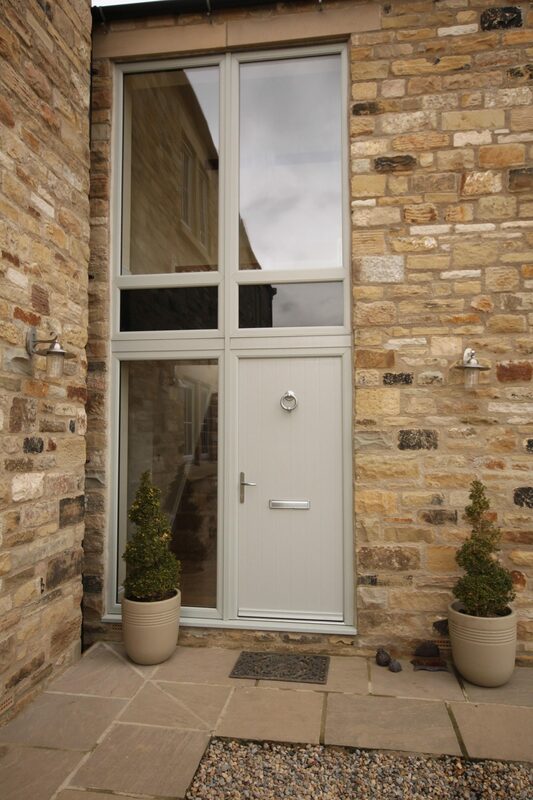 A combination of The Definitive Collection's versatile range of PVCu & Aluminium windows & doors featured heavily in this property. 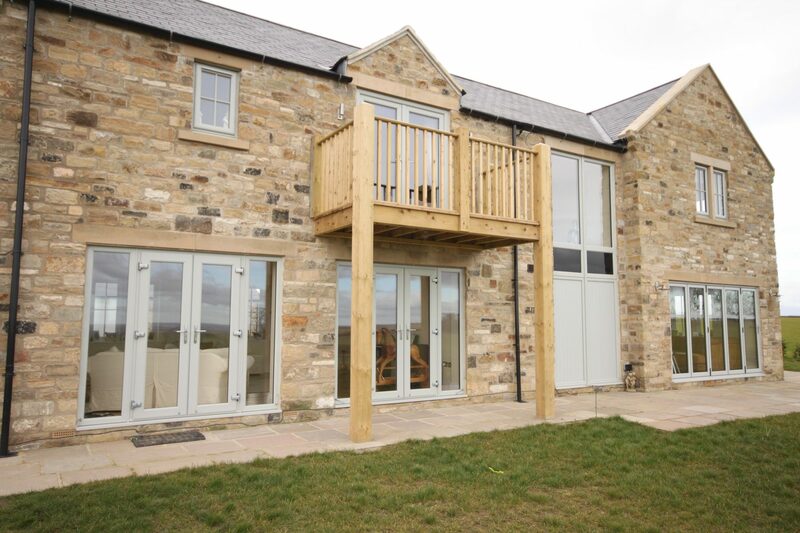 From Aluminium bi-folding doors that offer seamless integration with the great outdoors to French Doors that open up on to a peaceful and relaxing balcony, perfect for enjoying a glass of wine in the evening. 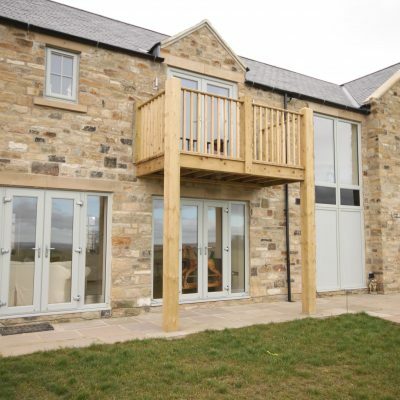 Although beautiful unrestricted panoramic views are a huge bonus, they can also challenge the home in terms of managing the severity and unpredictable British climate as high winds can batter each facade. 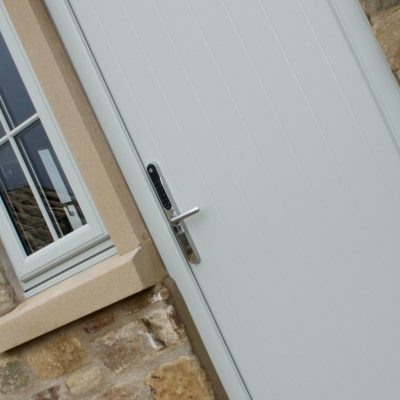 Attention to weather performance and energy efficiency featured heavily throughout this project and having spent years perfecting our products to face the elements, we are confident that our windows and doors can meet the necessary energy efficiency requirements without compromising your views. Set in it's own grounds with very few neighbours for miles built in high security was also an essential priority. 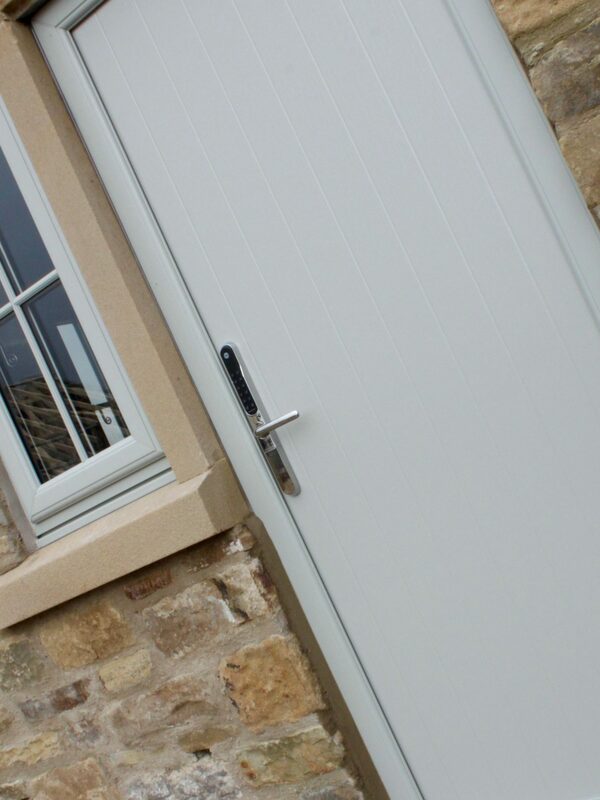 Our multi-point locking systems are supplied from some of the worlds leading brands including Yale locking strips to all Composite, Residential and French Doors. Casement Windows with Authentic / Astragal Bar. After waiting patiently to see their dream home in the country become a reality. The new owners were thrilled with the finished result which is certainly spectacular nestled on the North Yorkshire landscape.